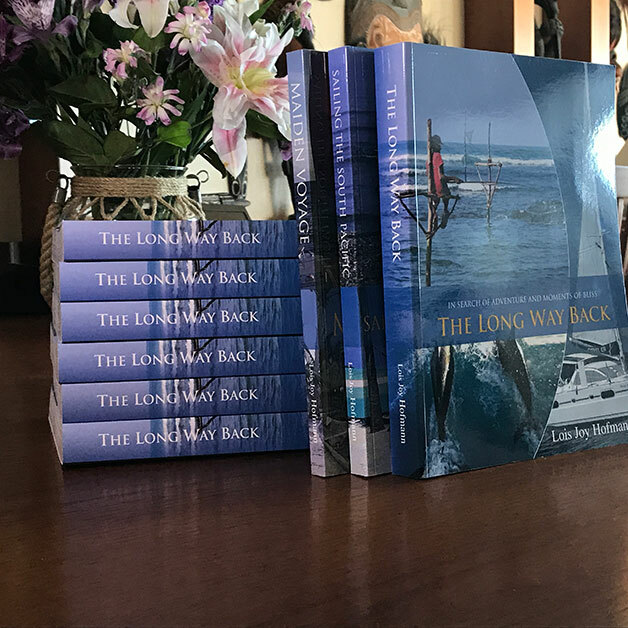 About the Author: Embarking on an eight-year adventure at sea, former human genetics and biomedical technology CEO, Lois Joy Hofmann sailed around the world on a 43-foot catamaran with her husband, Gunter. Discovering the thrills, dangers, and bliss of the cruising life, she shares their passions, experiences and knowledge acquired which inspires others to “Follow Your Bliss”; you’re never to old to fulfill your dreams. Description: This thoughtfully written, beautifully illustrated Trilogy documents people and places around the world. Containing hundreds of color photos, these coffee table sized books are all three now available to the public. Please Note: When you select “Add to Cart” you will go to a secure checkout on Paypal. You may sign in to your Paypal account OR select Pay With My Debit or Credit Card.